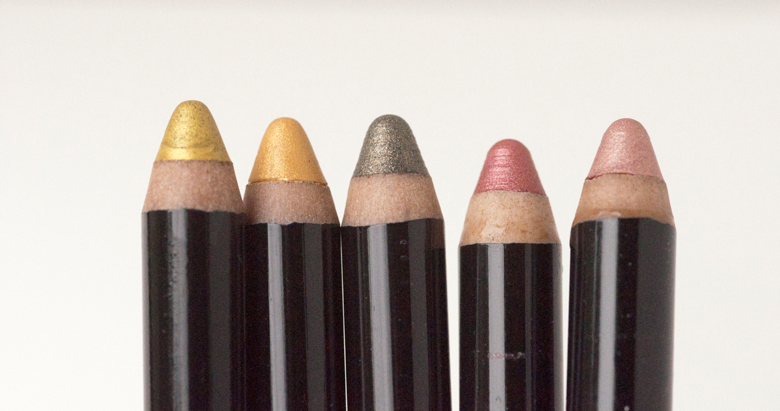 My love for eye shadow pencils can not be contained. LOVE THEM SO MUCH! When I came across these at the store, I couldn’t resist grabbing most of them. You do have to sharpen these so pop them in the freezer for 15 minutes so you don’t waste too much product or have it be too soft to sharpen. The names are NOT on the pencils themselves, only their product numbers. However the name is on the plastic wrapper it’s packaged in. I really like these. They actually felt cooling when applied to my skin which is unique. Because of whatever ingredient they have that causes the cooling, do NOT apply these to your waterline at all as it could cause some irritation. Ashen Glow Flame was MUCH more sheer and glittery than the rest and Gold Flame was a bit more sheer (not as sheer as Ashen Glow Flame though) than the rest. Lime Green Flame is my absolutely favorite shade out of the bunch. 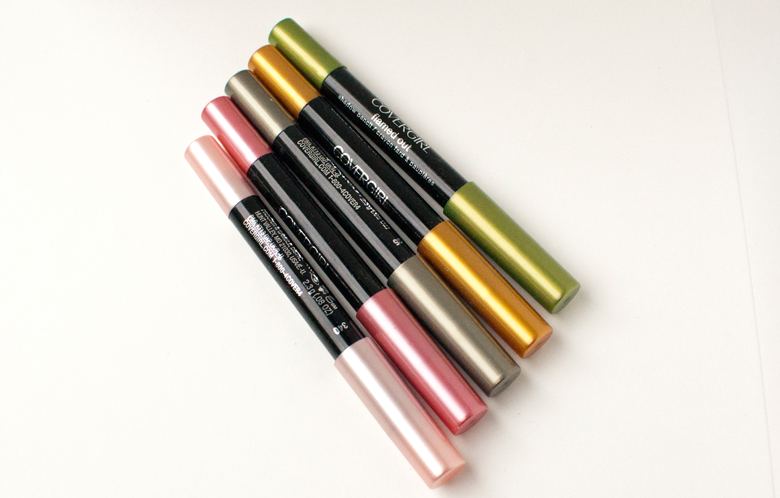 Price: average price is $7.50 but CoverGirl products go on sale a lot! Aww it’s a pity that Ashen Glow Flame is so sheer! It’s such an adorable color! I think Ashen Glow is going to be one of those colors that just needs to be layered over another color to make it stand out more. 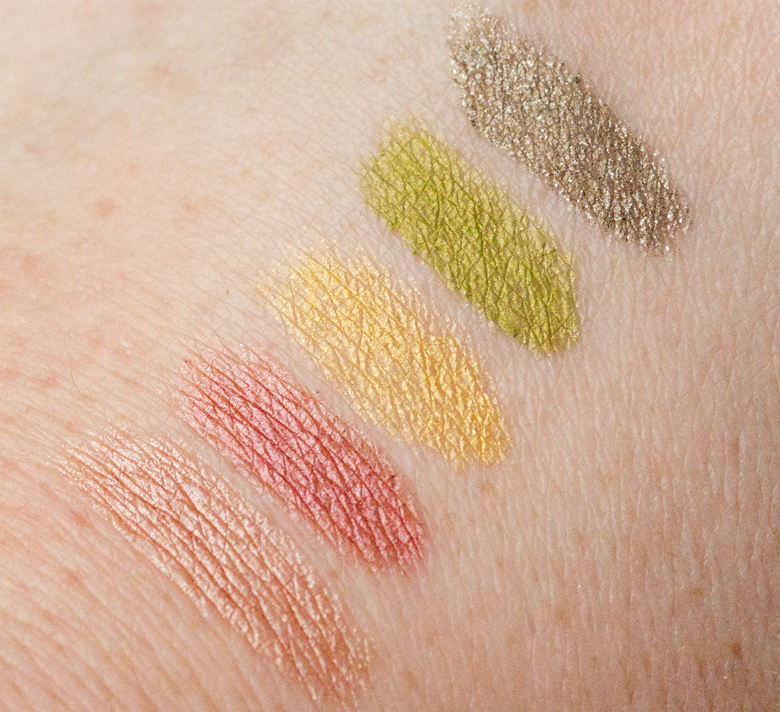 Like Benefit’s Cream Shadow in Skinny Jeans maybe.